The Civil War was a unique watershed, not only in American history but world history. Since the last gun was fired before Appomattox, it has fascinated and mesmerized us, as vivid in our imaginations as it was real in the lives of those who fought it. There are many compelling reasons to study that epochal event in our past. Not only is it absolutely unique in history, not only a watershed that defined us as a nation, but it was a war of important firsts, a war to save the democratic form of government and the freedoms that we now enjoy. It ended slavery in our country and pioneered new ways of waging war on land and on the water. It catapulted us into a new industrial and technological world and destroyed and made fortunes. Its politics were fascinating and crucial. It gave birth to a new journalism and an impressive body of literature and tested our faith as nothing ever has. 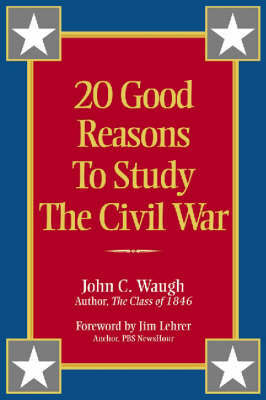 This book, written by a noted Civil War historian, expands on twenty important reasons why the Civil War should continue to be a central study for us all.